Let’s face it: Common Core challenges public libraries and librarians to answer the call for increased emphasis on literacy, rigorous learning, text complexity, and research. Last month’s article (Isn’t That Just for Schools, Pt. I) addressed the basics of the Common Core State Standards and, among other things, encouraged becoming familiar with its vocabulary-so hopefully that first sentence makes sense to you! The Standards shift schools’ English Language Arts focus to learning from what is read, building knowledge, the 50%-50% fiction/nonfiction reading rule, and an increasing complex staircase of books read. Not only does CCSS impact public libraries’ collections, they also impact youth programming. Radically? No; at least hopefully not! Most public libraries’ story programs for birth to age 5 have provided early learning and literacy programs for decades-most notably storytimes using puppets, songs, and rhymes to foster the love of books and reading. National and state conferences have long provided methods and materials for such programs; numerous print publications are available; and much is accessible online to support such efforts. Recently, public and school librarians have seen increased emphasis on early literacy or what a child needs to know about reading and writing before ever doing so. The six skills in Every Child Ready to Read 1st Ed. (ABCs of Early Literacy) have now been pruned to five practices in ECRR 2nd Ed. 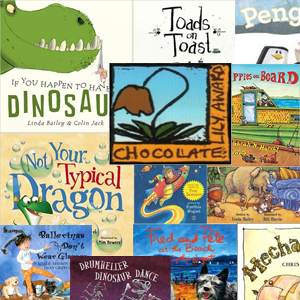 If you need book ideas for promoting early literacy, look at Multnomah County’s Early Literacy Connections, Allen County Public Library’s Early Literacy Booklists, and Hennepin County Library’s ELSIE. Asides to the adults present at storytimes help them continue the practices at home. Common Core ups the ante. With regard to text, children as young as kindergarten are expected (with support) to identify the main topic, retell key details, describe connections between people, events, ideas, or information, and also to infer meaning from words as well as illustrations, describe the relationship between illustrations and text, and notice and think about nonfiction features. What does that mean for preschool programming? While we should never turn storytimes into school, research has shown there are ways to read books aloud that help prepare youngsters to be readers who think. Arnold and Colburn provide background in their May 2012 School Library Journal article “Mind Readers: Thinking Out Loud Can Raise Children’s Comprehension Skills,” in which they not only discuss active questioning but also McGee and Schickendanz’s repeated interactive read-alouds, providing a link to their 2007 article. In that article, McGee and Schickendanz give concrete examples of questioning and re-reading. Betsy Diamant-Cohen, Children’s Programming Specialist at Enoch Pratt Free Library and author of Mother Goose on the Loose! 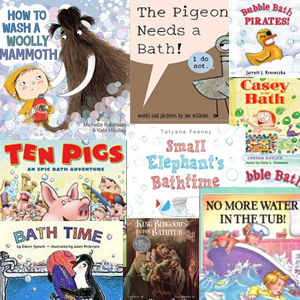 has recently been advocating rethinking theme-based preschool storytimes, suggesting instead a book to be presented differently in consecutive storytimes, allowing listeners to build new skill sets, thus connecting and engaging with the story on higher levels through activities specifically designed to address multiple intelligences. This is right up Common Core’s alley! And it isn’t limited just to preschool programming; it is applicable to story programs for school-age library users as well. Both strategies allow for the selection of more difficult books to be used; selections should be nonfiction as well as fiction, of course. Integrate math, science, and social studies whenever possible. Offer a Readers’ Theatre series, culminating with a special performance for family and friends. Rehearsal/practice demands repeated reading. Librarians should remember these strategies when planning special programs and summer reading as well. A series on a particular topic could be planned, with books, speakers, and activities approaching the topic from several angles, again scaffolding knowledge. Integrate math, science, and social studies whenever possible-holidays and festivals, cooking, crafts, all lend themselves to reinforcing higher level thinking. Book displays for such programs should include fiction and nonfiction on a variety of levels tied to the theme. CLCD’s comprehensive database, which is full-text searchable, can aid librarians’ book selections for storytimes and special programs. Many public libraries have puzzles, puppets, and other toys out for young users. For school-age children, consider having a station or two, with a picture or primary document or a brief, intriguing text and a mystery question for them to solve based on the document or text. It could be about anything-your town’s history, an event in the news (including sports), an interest of yours. The point is to get them thinking, inferring, connecting, and drawing evidence. Having a short booklist on the topic would be an added plus. Again, CLCD can help you easily compile a list that includes books on a variety of lexiles. Don’t forget the adults you also serve! Parents and teachers need Common Core help as well. Be a book pusher for them, through lists, on-the-spot book talks, and on your web page. Fiction, nonfiction-don’t forget poetry-and professional books are all fair game here. Help parents understand the importance of informational text. You may need to do that for your library staff as well. In fact, ask to have some time at a staff meeting to explain Common Core. Collaborate, collaborate! Offer to speak at faculty meetings, PTA meetings, preschools, and daycare centers. You are the literature expert and have so much to offer teachers, parents, and even administrators. (Bring along library card sign-up forms and have their cards waiting for them at the library. Ask for emails, and send them links to your library’s site, your blog, etc.) Co-teach a workshop on early literacy, the six skills, or five practices with the school librarian, either at the school or public library. Host vendor presentations for teachers in your district, focusing on nonfiction. This takes some of the burden off the school librarian and allows teachers to actually look at the books themselves before asking for them to be purchased; it’s also helpful for classroom collections, which all too often rely on cast-offs from families. The rich language, rigorous text, appropriate lexiles demands of Common Core require that classroom collections be up to snuff. None of this is really new, just a different twist on what you most likely are doing. Letting your patrons (child and adult) and schools know you know about Common Core and its impact on them is more than a nice gesture; it shows you stay on top of current trends in education as well as literature and that yet again their public youth librarians are there to help.